Brandon Bird's Brandon Bird-O-Rama! 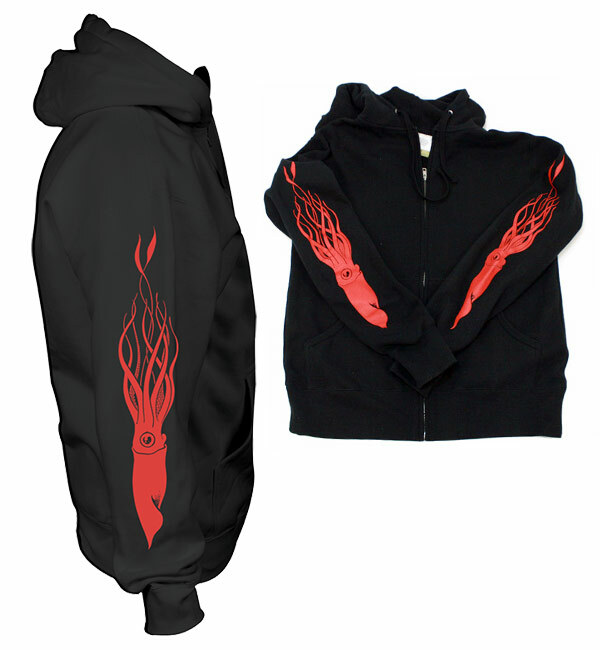 : Squid flame hoodie. You can buy this new hoodie at TopatoCo.com. It’s got flames on each sleeve, except instead of flames they are (wait for it) squid. Also available in heather grey.